UFC President Dana White stated on Thursday that UFC Lightweight Champion Conor McGregor, who has not competed inside the Octagon since a KO win over Eddie Alvarez at UFC 205 last November, will likely not return to UFC competition until summer of 2018. Yet Tony Ferguson has been holding the interim championship, waiting for a shot at McGregor while he fools around with boxing instead of defending the title. Thus, the time has come to strip him of his championship and allow Ferguson the chance to defend the "real" championship in 2018. His first opponent should be Khabib Nurmagomedov. It's clear at this point that McGregor has no interest in fighting Ferguson for the title, because if he did, the fight would have been announced already. 2017 was taken hostage by McGregor and Floyd Mayweather as they had their spectacle this past summer, but it's been months since that fight. McGregor is healed up, and still nothing. He has refused to respond to Ferguson's callouts, and at this point, it seems clear that this fight isn't going to happen anytime soon, though it's a great matchup on paper. So the UFC should strip him of his title and allow him to compete in "money fights" in either MMA or boxing, freeing up the lightweight title to be defended by Ferguson, hopefully against Nurmagomedov. The Russian, who is 24-0 in MMA and 8-0 in the UFC, fights Edson Barboza in the co-main event of UFC 219 this Saturday night in Las Vegas, Nevada. While Barboza is a formidable foe, Nurmagomedov is stylistically a bad matchup for him, and the odds are suggesting this should be a dominant win for Nurmagomedov. Should he win, there's no question he's the rightful #1 contender in the lightweight division, and the fight to make is the long-awaited matchup against Ferguson, a fight that has been scrapped several times in the past due to injuries to both fighters and a bad weight cut by Nurmagomedov before UFC 209. 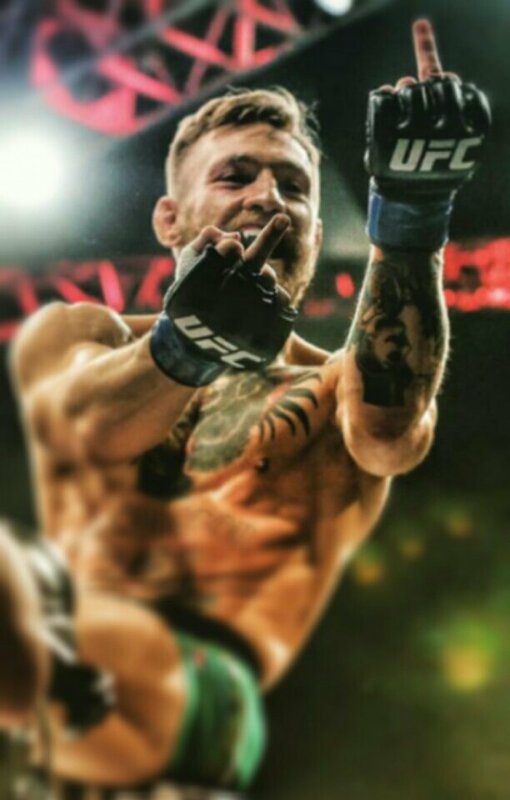 It's unfortunate that McGregor has held the lightweight division hostage for so long, but enough is enough. If the Irishman doesn't want to take the same path travelled by the great Georges St-Pierre, who relinquished the UFC middleweight title after submitting Michael Bisping at UFC 217, which let Robert Whittaker become the champion so that the division could move on in peace, then the UFC should do the right thing and take the title away from him. 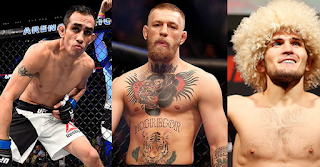 It's not fair to the rest of the 155-pound division that they are all waiting around for McGregor to finish enjoying his post-Mayweather earnings. It's time for the UFC to put its foot down and take McGregor's title, setting Ferguson up with his first title defense since submitting Kevin Lee for the interim belt at UFC 216. Assuming, however, that Nurmagomedov beat Barboza, as he absolutely should. That White told ESPN that McGregor has defended his belt when he obviously hasn't is not a good omen for Ferguson, but hopefully the UFC sees how ridiculous it will be to have an interim title fight between Ferguson and Nurmagomedov while McGregor sits on the sidelines fully healthy At the end of the day the UFC is a greedy company that may want to wait for McGregor to unify the lightweight championship against whoever is holding the interim belt, but at this point it's hard to call McGregor the real champ with Ferguson running through everyone in his path and Nurmagomedov hot on his heels. Don't forget, McGregor has literally fought only once in the UFC's lightweight division. It's pretty ridiculous that he still has the belt 13 months later, with no plans of ever defending it. Though Tony Ferguson vs. Conor McGregor would be a great fight, at this point it seems like a pipe dream. The next best fight the lightweight division could book for the belt is a matchup between Nurmagomedov and Ferguson, and hopefully that's what's next. Nurmagomedov first has to make weight and then beat Edson Barboza this Saturday night, but assuming he does just that, there's no question he should be next in line to fight Ferguson; it would be one of the best fights of 2018. Hopefully if it is booked again nothing happens this time to either fighter, but regardless, the lightweight division has to move on, and it's time to strip McGregor of the belt.